Please forgive the lateness of posting two items that I hope to correct in this entry. 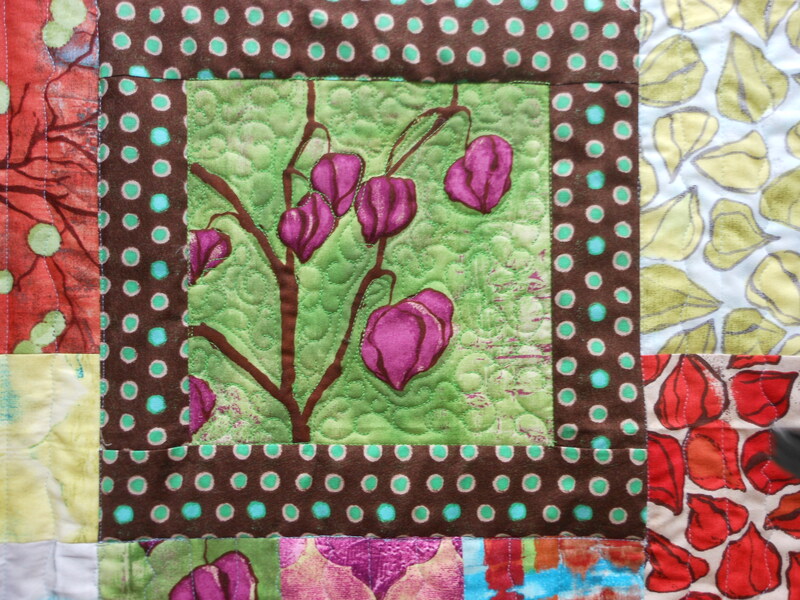 First, flowers on Friday was supposed to be a picture of Ruth’s quilt. I WANT THIS FABRIC!!! I’ve searched the internet and can’t find it anywhere. 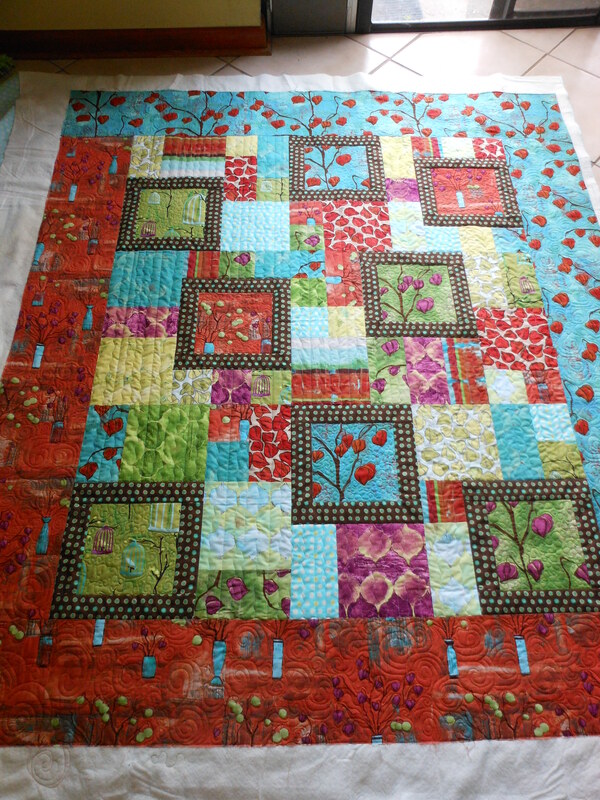 I love the print, I love the colors, did I mention that I would like this fabric? 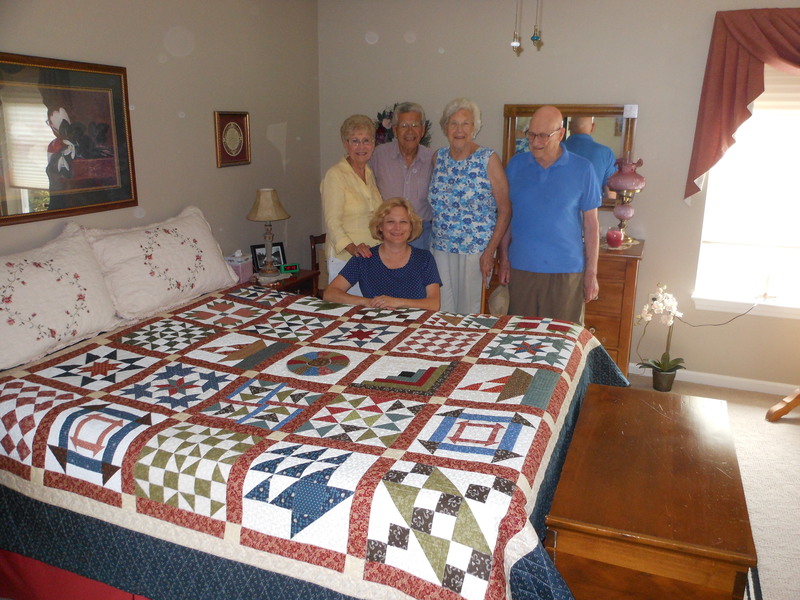 And the other item, one of our faithful readers mentioned that I didn’t post a picture of Mom and Dad giving the Underground railroad quilt to Skip and Jackie. Hope you par every hole tomorrow!